exportForClient is intented to help to quickly provide your client with material to check if the composition is correct. It is specially useful when dealing with text that has to be checked and sometimes cannot be properly seen in a low-size and low-res reference video. 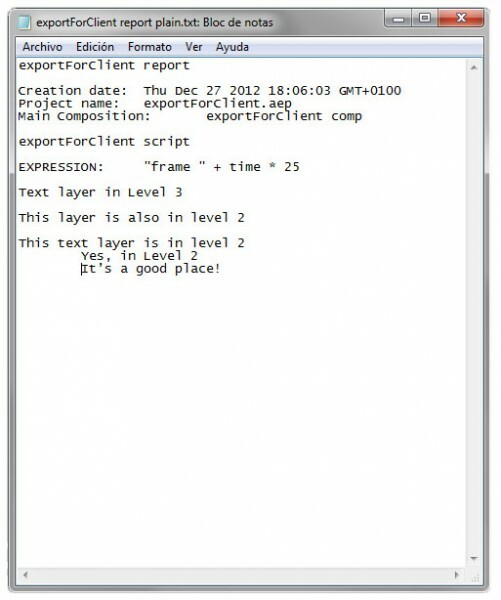 Export all text layers Source Text (with or without timecode info) to a .txt file. Add markers to a composition and export those markers time as image files. 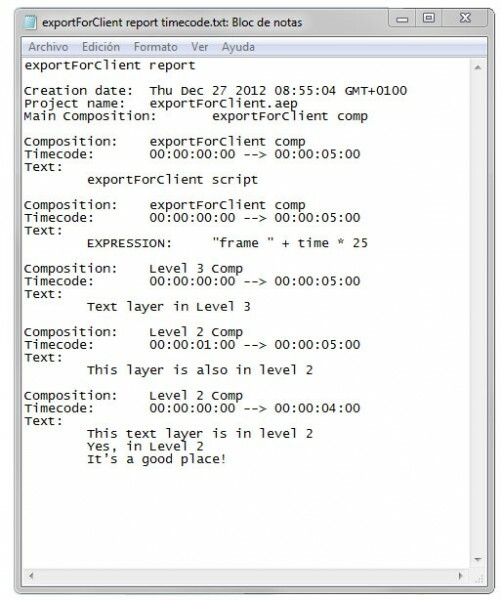 If you choose 'Export Text and TC', it will also write the containing composition and timecode for every Text Layers, including the nested ones. * This one is more intented to be used by artists, so they have more info about each layer. You can use 'Export all values' to choose if it exports all keyframe values or just the current value at time. If it finds a expression controlling a Source Text, it will write the expression code. By using the 'Add markers' button you add markers to a new layer called 'exportForClient Markers'. 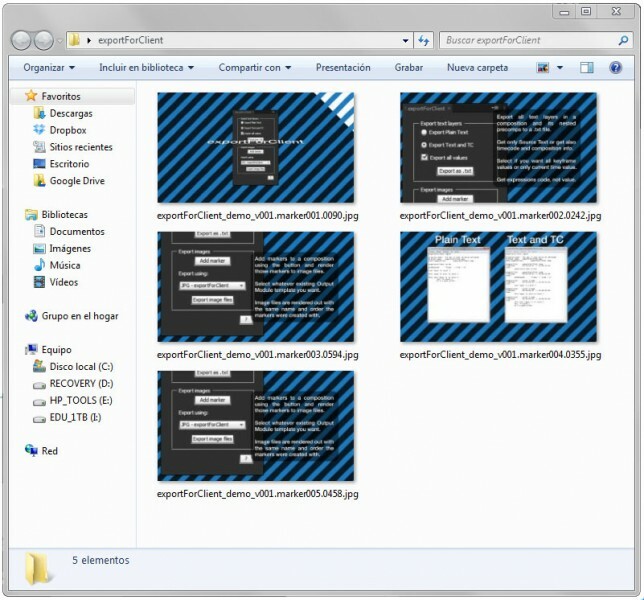 Note that if you change the name of this layer, the script will not identify it and will create a new one. 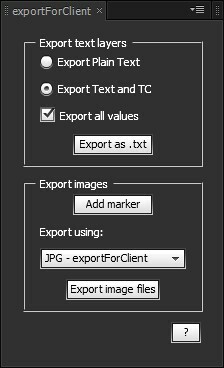 When you press 'Export image files', it will render every marker as a single file using the selected Output Module template. Note that it is thought to render Image Files like JPEG and PNG, the best for sending via e-mail. Rendering out .avi, .mov or .mp4 files would be silly and will cause an error, because it is supossed to create Image Files that your client could check quick and safe. IMPORTANT: Needs Allow Scripts to Write Files and Access Network checked under Preferences > Main to work properly. * Note that it will not read PSD layers as Text Layers if you haven't converted them to Editable Text. Corrected errors in marker number and timecode formatting.